New to Goat Packing World! Hello from Wyoming! Hello fellow Goat Packers! We are a family of three, and we are very excited to start this journey! 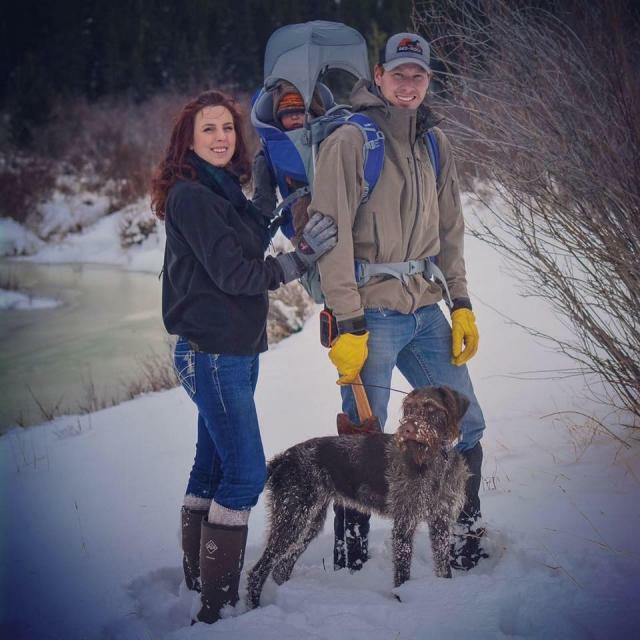 We are avid backpackers, hunters, and conservationist! We have done research on Pack Goats and we love what we have read or heard about! It sounds like it will be a fitting lifestyle for us! We are picking up two of our first alpine babies this weekend then patiently waiting for our other three to be born! Any tips , supplies, things you would recommend to have on hand greatly apppreciated! Welcome! Best of luck on your upcoming goat adventures! How old are the two kids you're getting this weekend? (03-16-2017, 07:01 PM)Nanno Wrote: Welcome! Best of luck on your upcoming goat adventures! How old are the two kids you're getting this weekend? They will be a week old when we go to pick them up! Aw, aren't they precious! Baby goats are the best. Who is the breeder? (03-17-2017, 05:42 AM)Nanno Wrote: Aw, aren't they precious! 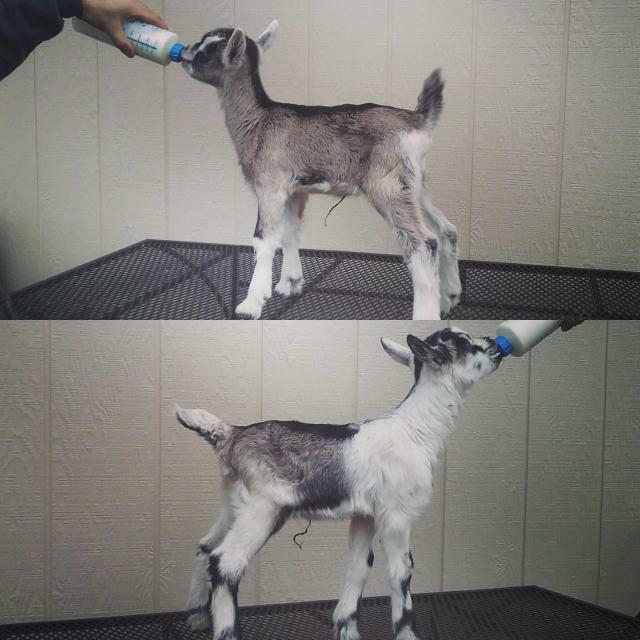 Baby goats are the best. Who is the breeder? They aren't a "Pack Goat" breeder just a well knows dairy goat operation out of Hermosa, SD. At first we were concerned about getting kids from a dairy farm, we have read that dairy goats can be bred for certain attributes that aren’t desirable in pack goats. So, we reached out to her and let her know our concerns that were Flat and Level Top Line (We heard that a high rump can be desirable for dairy but it isn't for packing), Heavier Boned (Again we heard that dairy breeders might prefer a lighter boned animal), Pasterns Perpendicular to Ground, and Slightly Hocky – Hockiness, and ~200 lb. weight when full grown. She responded and addressed each concern and basically told us contrary to belief those attributes are more for what they breed for in their dairy goats. This was somewhat relieving to us that she was able to address and explain each of our concerns to match what we were looking for. Again, we are very new to this, and by no means professionals we just do our best to research, research, research and ASK QUESTIONS lol. We also put down a deposit for three of Dwite Sharp’s goats, we are just waiting to hear if they are born as he had a waitlist. They look great! I've not heard of dairy breeders wanting high rumps. Level toplines are a must, as are strong, straight pasterns. Some judges like lighter bones and others prefer heavier. A steepish rump is actually more accepable for a packgoat than a dairy goat and I personally prefer it a bit. In horses a steep rump is often a sign of athleticism and we call it a "jump bump". Flatter rumps are fine too though. Many excellent packgoats have been bought from dairy herds. We bought our first packgoat for $25 from a dairy herd and not only did he turn out to be an excellent working goat, he really stood the test of time. He's going on fifteen years and we only retired him last year. You're going to have so much fun with those cute little kids! (03-17-2017, 07:04 PM)Nanno Wrote: They look great! I've not heard of dairy breeders wanting high rumps. Level toplines are a must, as are strong, straight pasterns. Some judges like lighter bones and others prefer heavier. A steepish rump is actually more accepable for a packgoat than a dairy goat and I personally prefer it a bit. In horses a steep rump is often a sign of athleticism and we call it a "jump bump". Flatter rumps are fine too though. Many excellent packgoats have been bought from dairy herds. We bought our first packgoat for $25 from a dairy herd and not only did he turn out to be an excellent working goat, he really stood the test of time. He's going on fifteen years and we only retired him last year. You're going to have so much fun with those cute little kids! This is relieving to hear, and your answers were pretty much what she stated they breed for at thier operation. I think it will be great to have a mix up! We are very excited for this journey! Current time: 04-21-2019, 09:47 PM Powered By MyBB, © 2002-2019 MyBB Group.